One of the many great things about being Canadian is that every January when we turn the calendar to a fresh new year, we get to choose whether we’re going to be a winter warrior or a winter wimp. This year, instead of hibernating in front of the television, make a choice to bundle up and face winter head on. 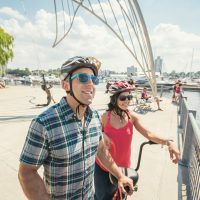 If time truly does fly when you’re having fun, it will be spring before you know it with these great options for outdoor adventures. Hilton Falls Conservation Area in Milton will help cross country skiers, snowshoers and winter hikers take to the trails under the light of the moon. 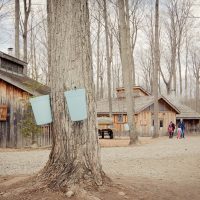 Following the excursion participants can warm up beside a crackling bonfire while sipping hot chocolate and roasting marshmallows. Limited ski equipment is available for rent if you don’t have your own, but reserve early to avoid disappointment. Mountsberg Conservation Area: 14 km of trails, rental snowshoes available. 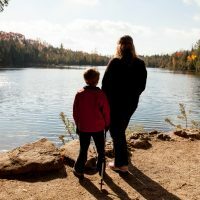 Crawford Lake Conservation Area: 5 km of trails, rental equipment not available. Pinehurst Lake Conservation Area: 14 km of trails, rental ski and snowshoe equipment available on weekends only. Terra Cotta Conservation Area: 6 km of trails, rental ski and snowshoe equipment available. The 32-km Hamilton to Brantford Rail Trail is a frosty favourite of avid cross country skiiers. If you’re looking for a shorter ski, the SC Johnson Trail, which runs 14 kilometres between Paris and Brantford, is another great choice. 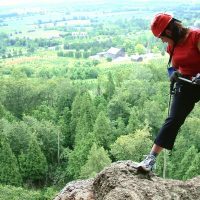 Local outfitter, One Axe Pursuits, will gear you up and teach you everything you need to know to hack your way up Ancaster’s frozen Tiffany Falls with an ice axe this winter. Learn more and book online through One Axe Pursuits. 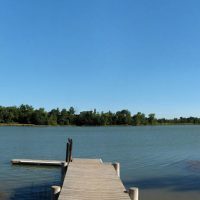 Valens Lake Conservation Area: sink a line through the ice and fish for Northern Pike, Black Crappie, Bluegill, Pumpkinseed, and Yellow Perch. Fifty Point Conservation Area: fish for Perch, Pike and Brown Trout at Fifty Point in Stoney Creek. 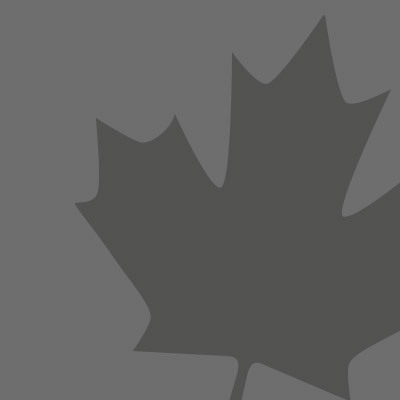 Binbrook Conservation Area: rent an ice hut during ice fishing season and don’t miss the popular ice fishing derby held each February. Pinehurst Lake Conservation Area: fish for Blue Gill and Black Crappie on a frozen 23-acre kettle lake. Valens Lake Conservation Area: Reserve a site by phone by calling 905.525.2183. Rattlesnake Point Conservation Area: Reserve a site by calling 905.854.0262. 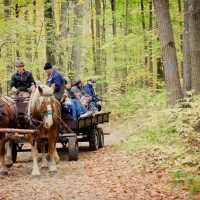 Kelso Conservation Area: Kelso has two winter campsites available by request. Reserve by calling 905.878.5011 ext 1221 or 1273. 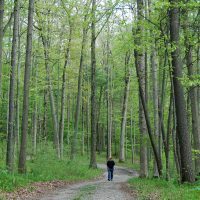 Fill your pockets with bird seed before you set out to hike the trails at Hilton Falls Conservation Area or trek the woods and wetlands of the Royal Botanical Gardens and you’re bound to make some feathered friends on your trek. The chickadees are so friendly here they will quite often land in an outstretched hand to snack on birdseed! Be sure to bring your camera to capture the moment. Sharpen up those skates! 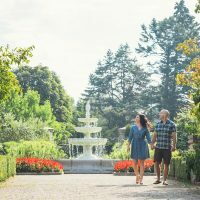 There’s something extra special about skating on an outdoor rink, and Hamilton Halton Brant has some fabulous choices. Experience Hamilton’s waterfront on ice at the Pier 8 Hamilton Waterfront Outdoor Rink. Warm up with a S’mores Latte or Candy Cane Hot Chocolate at the café overlooking this NHL-sized rink. Harmony Square in downtown Brantford is home to another wonderful outdoor rink that offers free skating from 10 a.m. until 10 p.m.
Burlington’s Discovery Landing overlooks the Rotary Centennial Pond, a 10,000 square-foot year-round water feature that offers free recreational ice-skating on an artificial ice surface. Terra Cotta Conservation Area offers ice skating on their frozen pond and trail. 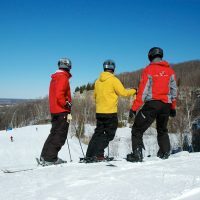 Did you know that in under an hour’s drive from downtown Toronto you can find amazing downhill skiing and snowboarding on the Niagara Escarpment? Milton’s Glen Eden offers downhill ski and snowboard rentals, six lifts, 12 slopes, and three terrain parks. Ski and snowboarding lessons are also available. *Please note all winter outdoor activities are weather permitting. Please call ahead for availability and hours of operation.